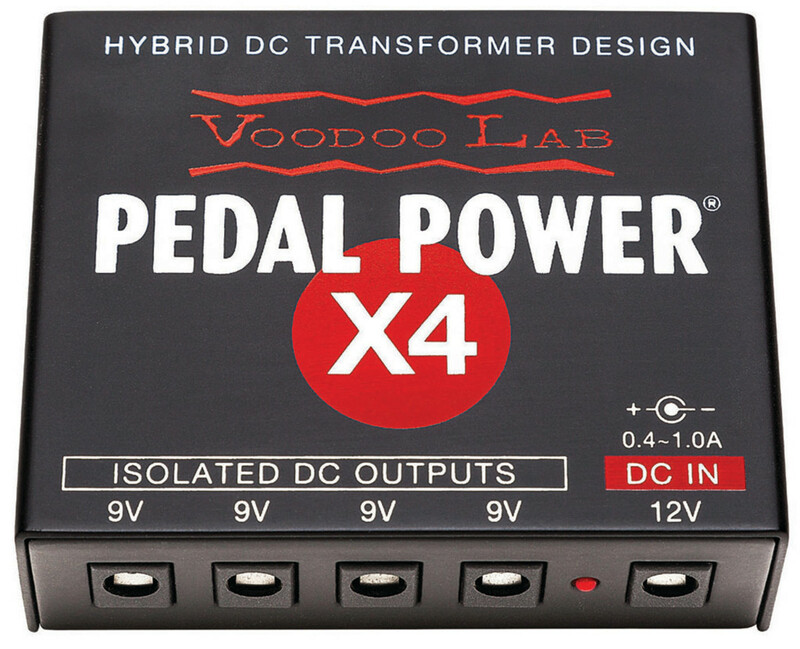 Pedal Power X4 is a professional isolated power supply for up to four battery-operated or high-current DSP effects. Housed in an ultra-compact aluminum chassis, the virtually weightless X4 mounts to even the smallest pedalboards, including Voodoo Lab Dingbat TINY and Pedaltrain Nano. Pedal Power X4 delivers the pure and reliable power necessary for pedals to perform and sound their very best — all with zero added noise. Pedal Power X4 can be powered from its included AC adapter or from any 12V 400mA Pedal Power output, adding four isolated outputs to the power supply. Pedal Power X4 conveniently operates at any mains voltage for international touring.